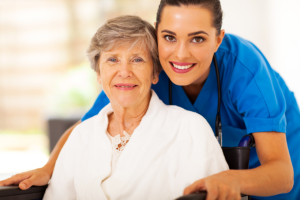 Skilled nursing is provided by a Registered Nurse with ten plus years of industry experience and includes coordinating the plan of care your physician has prescribed, monitoring vital signs, giving injections, and providing wound care, among other things. The goal of physical therapy is to help you regain movement and strength. Our physical therapists will visit you in your home to help you perform daily activities and progress towards your physical goals. After a stroke or accident, speech therapy can help you recover your swallowing and communication skills. 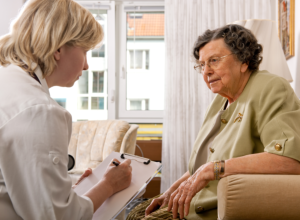 Speech-Language Pathologists specialize in the evaluation and treatment of swallowing, cognition/thinking skills and communication disorders to help your regain independence and improve your quality of life. Living with a chronic disease can be difficult, but patients who take an active role in their own care can make more educated choices and are less likely to be re-hospitalized down the road. Our Chronic Disease Solutions focus on involving patients in the health care process so they can attain more independence and a better quality of life. The goal of our program is to decrease hospitalizations for the long term by use the most current medical evidence to improve our clinical and patient education, and plans for patient care. A collaboration of skilled nursing care and therapeutic rehabilitation in the home creates an excellent environment for recovery after an orthopedic surgery or injury. Skilled in the care of joint replacements, orthopedic injuries and complex orthopedic disease patients, our staff provides the skilled nursing and licensed therapeutic care to support patient recovery based on established protocols. Our goal is to assist the patient in reaching the highest possible level of independence in the comfort of their home. All heart conditions, no matter how complex, are managed under the Heart at Home program. Provider Preferred clinicians deliver detailed assessments and education to help patients successfully manage medication, symptoms, mobility and other aspects of care. If needed, they will coordinate other services, including physical therapy, special equipment and nutritional education. 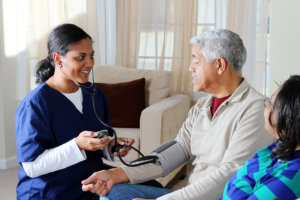 Our goal is to provide the information and skills needed to stay safely in the home after home health care has ended. Patients with psychiatric illnesses have special needs. Frequently, psychiatric illness exists in tandem with physical illness, requiring nursing care that is specific to both disorders. Provider Preferred psychiatric nurses are trained to provide care for the total patient, including chronic disease conditions and education for the patient and caregiver. Working with the psychiatrist and/or primary care physician, our clinicians make sure the needs of the patient is being managed effectively. Helping patients regain independence is our goal. Our rehabilitation services done in patient’s homes include an individualized plan that is developed for each patient after a clinical evaluation. Our clinicians coordinate services for the administration of acute and chronic diseases including congestive heart failure, chronic obstructive pulmonary disease, diabetes and a cerebral vascular accident. Our team uses therapeutic skills to assist the patient in improving strength, mobility, balance, swallowing and communication disorders. Patients and families coping with Chronic Kidney Disease have the support of Provider Preferred clinicians who provide ongoing assessment, suitable treatment and coordination with physicians, renal clinics and other health care providers. Our skilled clinicians provide information and education to support the patient, family, and caregivers to improve the patient’s quality of life and decrease the overall stress level that this condition produces. With reliable information about the disease and its management, patients with Chronic Kidney Disease can control their condition and minimize its impact. Patients with Type 1 and Type II diabetes have different needs for education and medical supervision. Provider Preferred’s skilled clinicians are equipped to provide customized support for each of these conditions based on the individual patient’s needs. The education Provider Preferred delivers is valuable whether the diabetes is newly diagnosed or longstanding, as information for the successful management of diabetes has expanded greatly in recent years and treatment is better than ever before. The Provider Preferred clinician focuses on each patient’s specific needs, improving quality of life and enabling patients to achieve their best health status. Living with Chronic Obstructive Pulmonary Disease (COPD) is demanding for patients and their families. Our skilled clinicians provide care, therapies and education that improve their ability to manage COPD and enjoy an improved quality of life. Patients and caregivers are encouraged to participate actively in crafting the management plan and trained in the skills needed to comply with the plan. Following a structured care plan will help prevent or delay complications and achieve the best possible outcome. Wound care is frequently complicated by other conditions that make care more challenging. Provider Preferred implements the most current evidence-based practices, integrates the latest techniques, and uses the most cutting-edge products to improve healing and ultimately improve the patient’s and family’s quality of life. 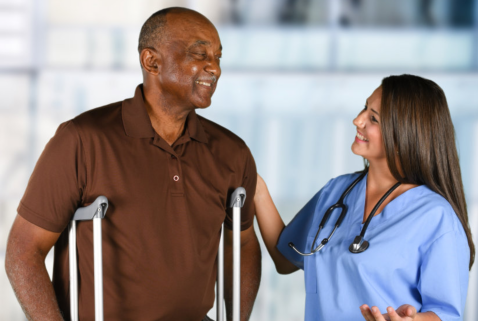 Establishing a partnership with the patient, caregiver, personal physician, physical therapist, WOCN/ET certified nurses and home health aides facilitate Provider Preferred to address every aspect of wound care. Chronic pain significantly impacts quality of life for patients and their families. Our pain management program is designed as a team approach, actively involving patients, caregivers, skilled nursing professionals and other therapeutic disciplines as needed. Together, we develop a holistic treatment plan based on each patient’s individual condition. Using the best clinical evidence currently available, Provider Preferred clinicians work with the patient and family, teaching the skills needed to help them continue to control pain after the home health care has ended. Falls are the leading cause of nonfatal, unintentional injuries treated in a hospital ER department–and the leading reason for admission to a skilled nursing facility. In the U.S. alone, one of three adults over the age of 65 falls each year, and more than half fall more than once. This annual rate increases to one of two over the age of 80. Provider Preferred’s Fall Prevention program is a comprehensive geriatric program that evaluates each patient to develop a systematic approach to treatment. The goal is restoration and management of the balance disorder to facilitate safe, independent living within the home.